Bryce Harper's new contract is the largest in Major League Baseball history, according to reports. A 26-year-old All-Star outfielder who had spent his entire big league career with the Washington Nationals, Harper topped the $325 million, 13-year agreement outfielder Giancarlo Stanton reached before the 2015 season with the Miami Marlins. 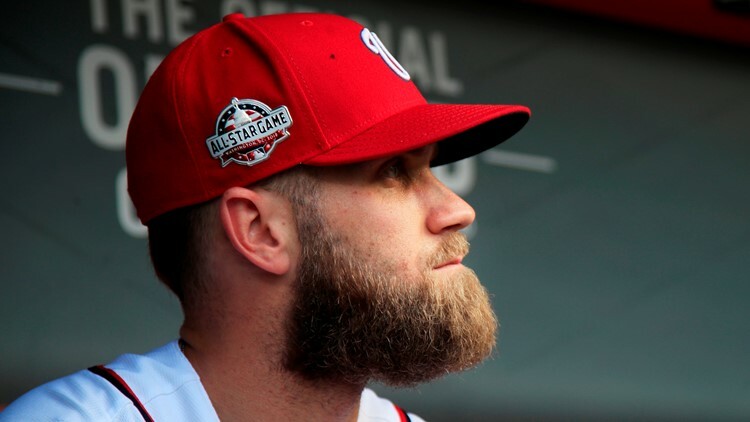 Washington general manager Mike Rizzo would have loved to keep Harper in his team's lineup but didn't sit around and wait to find out whether that would happen. Instead, Rizzo spent such money elsewhere, adding lefty starter Patrick Corbin on a $140 million deal and righty starter Anibal Sanchez, along with second baseman Brian Dozier, a pair of catchers in Yan Gomes and Kurt Suzuki and two key bullpen pieces in Trevor Rosenthal and Kyle Barraclough.